The Prom Planning Network and proms.net are a work in progress for the Classes of 2017 and 2018. We will be adding and updating information on a regular basis. Bookmark our site and check back often. The high school prom is the biggest event of the school social year. Many schools have other Homecoming Dances, Holiday Dances, Sadie Hawkins Dances, Valentine Dances, and Spring Dances throughout the year and you can get some ideas for those dances at this website. This is our opening, home page and welcoming page. We will try to give you an overview of the website and information on site updates on this page that we call home. Our Committee Page has tips on how to form your High School Prom Committee and the types of people you would like to choose to make your committee most productive. The Facilities Page will show you some tips and ideas on how to select a site to have your prom or dance. 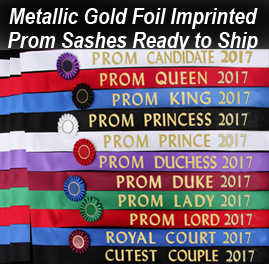 Weather you are having the prom at a banquet center, the school gym, a hall, or a armory, you might want to view all of you options in your initial stage of planning. The Menu Page will show you some of the prom menu options that are available from snacks to a full dinner menu. You will want to preserve the memory of your prom with photographs. Our Photographs Page will give you some insight on what is available from your photographer. Many classes use fund raisers to help defray the cost of the prom. These events can be a lot of fun throughout the year and will help make the prom more affordable for all. We have some tips on the Fund Raising Page. Our Tickets Page covers the types of prom tickets that you can use at your event. The options vary from the home made variety to the embossed keepsake variety. Options and sources of supply are provided. The Memory Book is a very nice keepsake for the evening. The Memory Book can have the program, menu, Prom Committee, theme, and some personal verses. The memory book lets everyone know what will be happening and gives some recognition to the people who have made it happen. You can even produce a great looking Memory Book on a budget by ordering hot stamped Memory Books Covers Only. The Posters Page will show you some of the ideas for making or purchasing posters to advertise your prom. You want to get the word out to the entire class and keep the reminder out there of where and when the prom will be. No matter where your prom is to be held, you may want to add some decorations to the place in order to have everything fit in with your theme and colors. The Decorations Page will show you some tips. The Flowers Page will give you some tips on how to choose flower decorations or what to look for in that special boutonniere or corsage. The Transportation Page will show you some of the options for transportation to and from the prom. From the horse and carriage, to the limo, to the van, or a bus. The primary concern is to make the night a fun and safe night. The Tuxedo Page and the Dresses Page will give you some ideas on choosing the right attire that fits you for the evening. For some basics on hair styles, nails, and makeup, visit the Hair, Nails, and Makeup page. The Music page will show some of the options on music for the prom. The options include a live band, a DJ, and even a road show with lighting effects. Many schools have great Post Prom Parties that get the entire school involved. The Post Prom Page will give you an insight on some of these events. Since this site is a work in progress, we would like to get some input from our visitors. Use the email form on the Guest Page to submit your suggestion or a great idea that you use at your prom. We will post the best ones with your name and school. 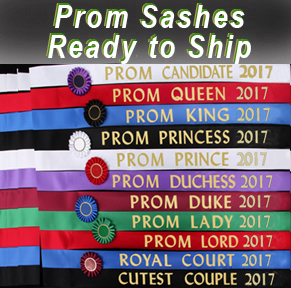 Our Links Page will build links that will help you with more ideas and more sources for your prom needs. We are interested in your comments and suggestions, please feel free to share them with an email. We hope you find our website useful and hope that you have a great prom. Revised: 05 Apr 2017 18:33:14 -0400 .